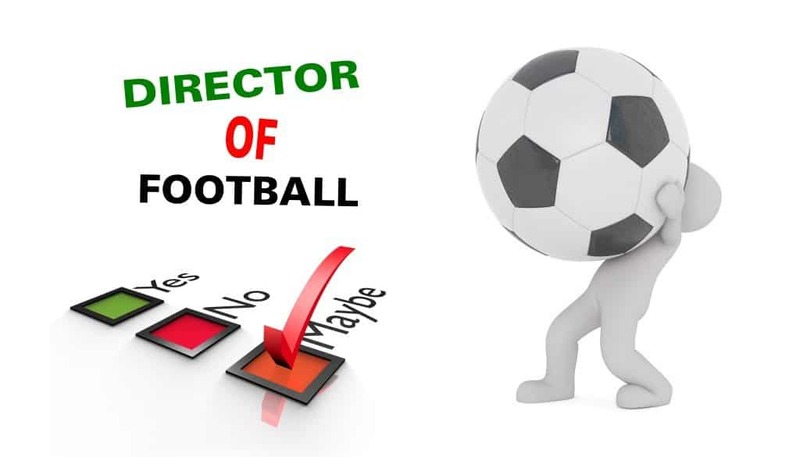 Who is at the top of the list when we choose an option staff » all members if we exclude board members, your full name (first coach)? However, there is only one person above you – director of football. Now someone could set a logical question – what is this guy doing here? Looking at the hierarchy, obviously, this is a position which is not for underestimation. But it depends on from which angle we look at the situation. 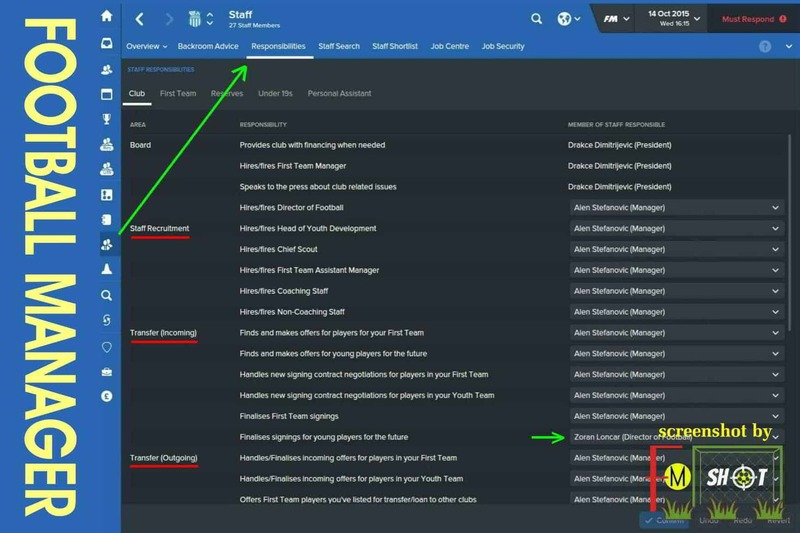 For example, if you are a beginner and you don’t know FM, my advice is to hire a director of football and give him some authority. On the other hand, players with more experience want to keep all the strings in their hands and it’s OK. The director’s armchair depends on many attributes, but only one clearly associates it to that position. It’s man management! My recommendation is x ≥ 10 as regards assessment. Otherwise, this place is free until further notice. This attribute is important if your intention is that the Dir Ft has control over the option of – hiring/firing backroom staff members. What is the main task of our expert? Player’s assessment. Bring a right reinforcement and find a new environment for existing players is not easy. If I am looking for an additional consideration is related to transfer policy, I expect Dir Ft to have high marks for the following attributes: judging player ability and player potential. The first relates to the established players while the second refers to young talents. How fast the whole process will take place, determines determination, or how I like to say – commitment to work. Where and how to search for a player depends on the adaptability and scouting knowledge. This applies to foreign countries when it is necessary to get to know the foreign country, language, leagues, etc. Whether the player will sign a contract with the club, this is a question of motivating and reputation of director of football. A contract can’t be signed if there is no spontaneous attraction of attention and power of persuasion. So it’s very important to pay attention to whom to entrust certain duties to the club. It would be good to check tactical knowledge and tendencies of the experts to determine if we have touch points on the issue of football. Administrative jobs can be very hard for the head coach of the club. 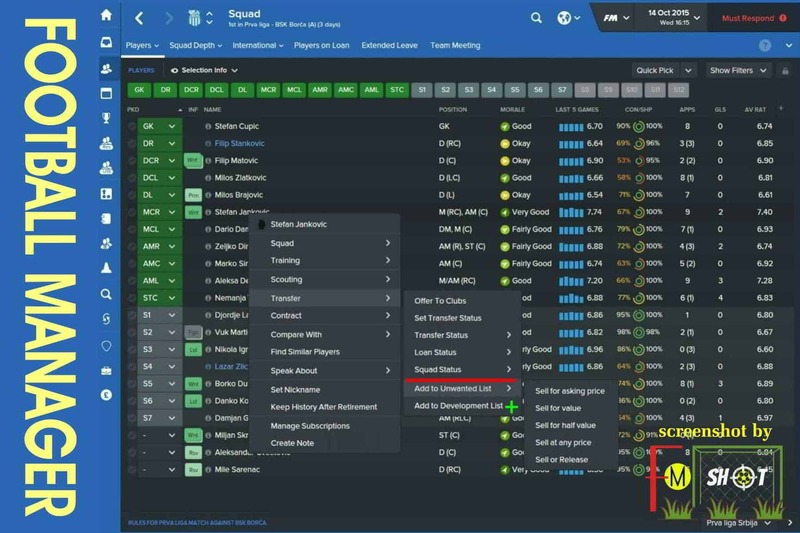 They need a lot of time and knowledge of FM so that they don’t miss the direction of movement. 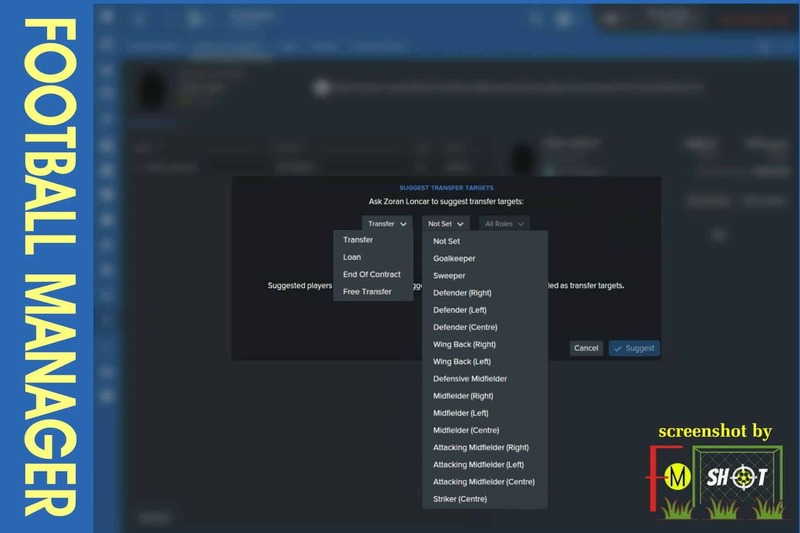 Did we successfully make a transfer, hire a real expert, or find a new environment for a player, these are just some of the tasks that would easily be done by Dir Ft. But if we look at the picture above, we will see that this isn’t very smart. Why? First of all, I’m thinking of attributes. Most of all, bothers to me – determination 10! This attribute is my number 1 for both sides: staff and players. All in all, the existing director of football is OK if we take into consideration the ranking of competition, finances, my reputation and the rest. Sometimes I put a lot of effort to sell a player but unsuccessfully. I think that the termination of contract is a real solution and then I forget about the finances of the club. At the end, I choose the transfer option » add to unwanted list » sell for asking price. 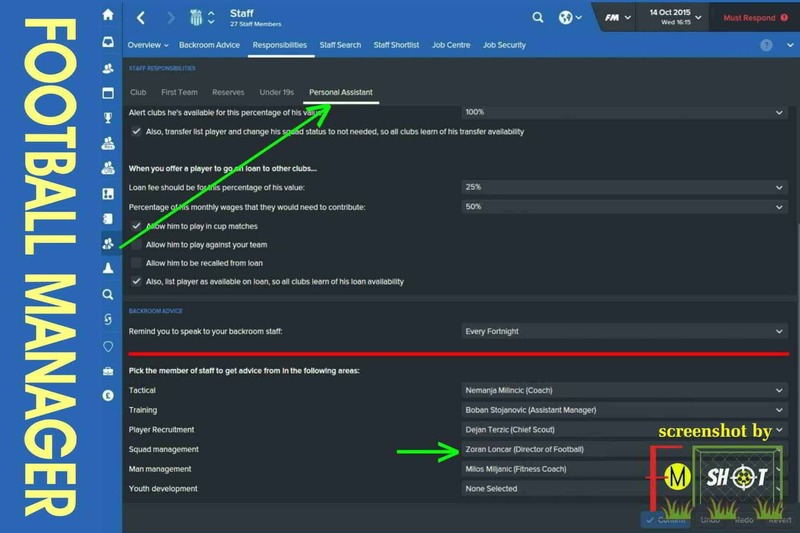 I believe that the director of football can successfully perform this task with the appropriate instructions. In the meantime, it is desirable that the player has a little minutes on the pitch to attract the interest of some clubs. Young talents (under 19) eagerly await a chance in the first team. Unfortunately, those who don’t fulfill the expectations go as free players while the others go on loan or be moved to the team B. The best of them have my attention. However, the problem occurs when you need to send a large number of players to the loans. 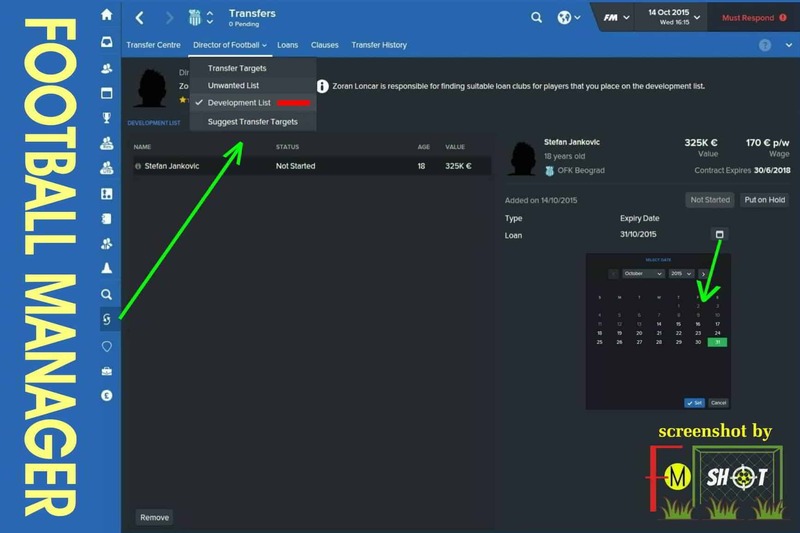 Then it’s not bad to seek the help of Dir Ft.
More precisely, the transfer option should be choosen » add to development list. In this way he looks for a club and defines the conditions of loaning. 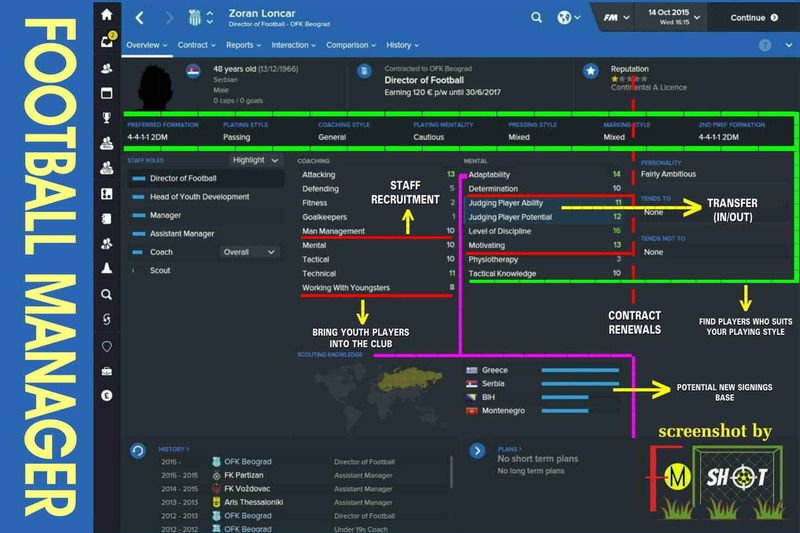 As a manager of OFK Beograd, I’m currently seeking solution for the position left midfield (ML/AML). I made a narrow choice but … Why not consider the opinion of the expert staff? First of all, I’m thinking about the director of football – suggest transfer targets. By choosing this option, in his opinion, he suggests 3 players who could find their way into the first 11. It’s up to me to decide whether it’s OK or not. If I see “something interesting”, I will immediatly send a scout to gather additional information. Then the analysis follows. We come to the final solutions. I can complete the whole process personally or give instructions to Dir Ft in order to test the pitch. Taking into consideration the existing situation at the club, with a heavy heart I would leave this task to another. But it doesn’t mean that Dir Ft can’t suggest – transfer bomb. 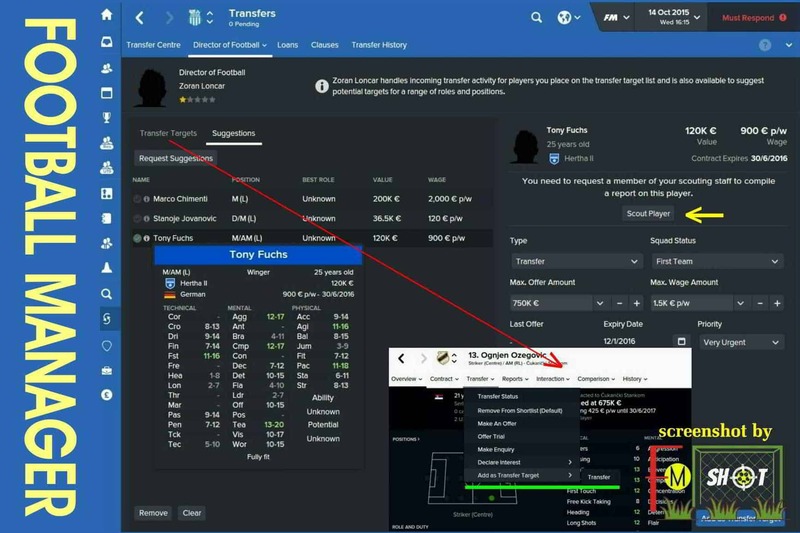 Of course, he can, but there are several factors in the game: reputation, attributes, great experience in the stated position, etc. How to make the desired search filter? Searching for members of the expert staff can be fun or less stressful if you use search filters. However, you must know what and how you are looking for! 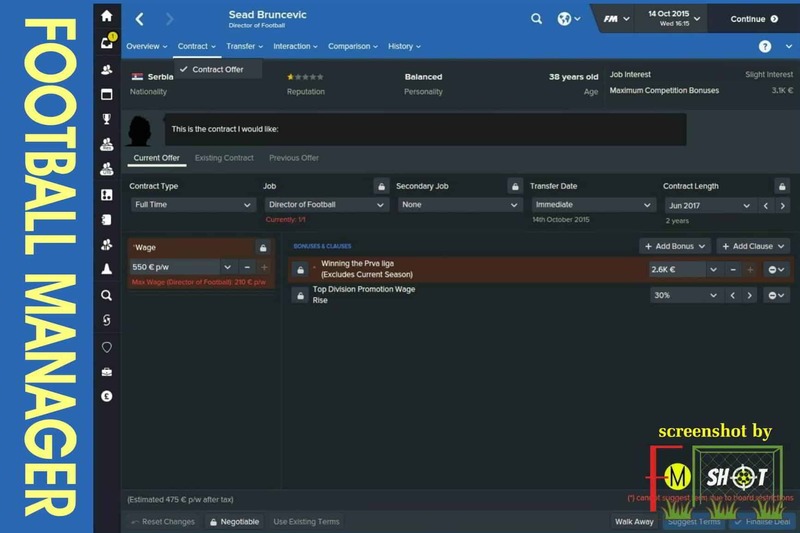 If we take, for example, OFK Beograd – the team that I currently manage in FM, the situation is next: average salary of staff members 116 EUR per week, scouting knowledge 11%, 2 League of Serbia, the main ambition is the higher ranking of the competition and the like. Suppose I should find a new director of football even though the existing director is OK. What am I doing first? I mark 4 attributes as if they are primary and give them a grade 10 on the scale of 1 to 20. In this case, those are: man management, determination, judging player ability and player potential. Because of a small average salary, I give priority to those players who hung up his boots on the wedge (ideally up to 35 years old) and they are looking for their place in a club’s expert stuff. 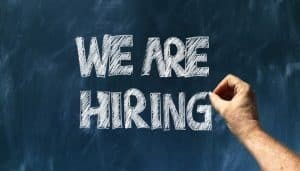 If I don’t find candidates then I put a reputation (obscure, local, regional) in the filter to “mitigate” the criterion. 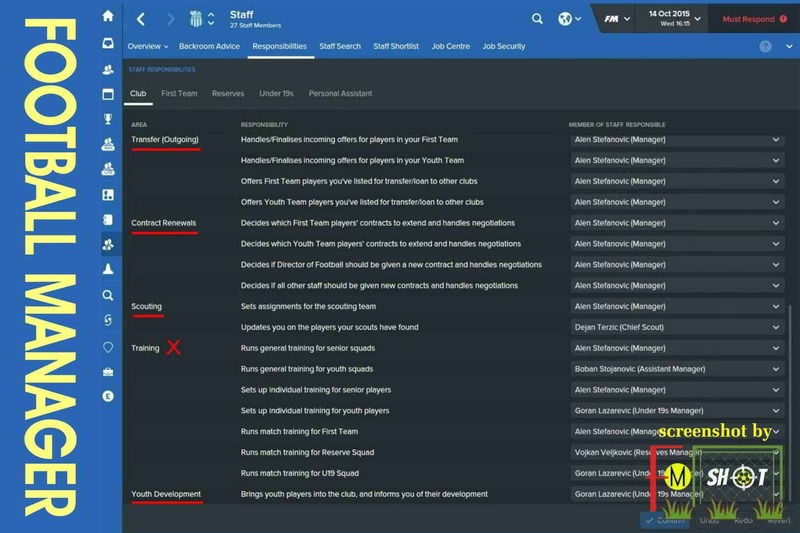 In the worst case, I let things calm down and I try to increase the scouting knowledgde of the club. In this way, a larger number of candidates appears during the next search. It’s so much from my side for now. 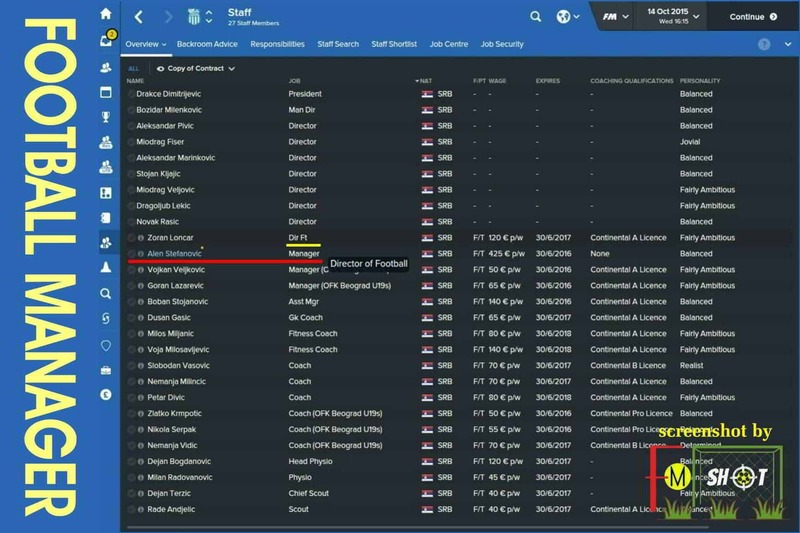 I have maximally done everything that I can conjure up my vision of the position Dir Ft in Football Manager. In the next article it will be said about the expert who takes cares of the youngest at the club – head of youth development. 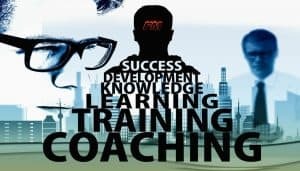 How to find the best coaches for your club? 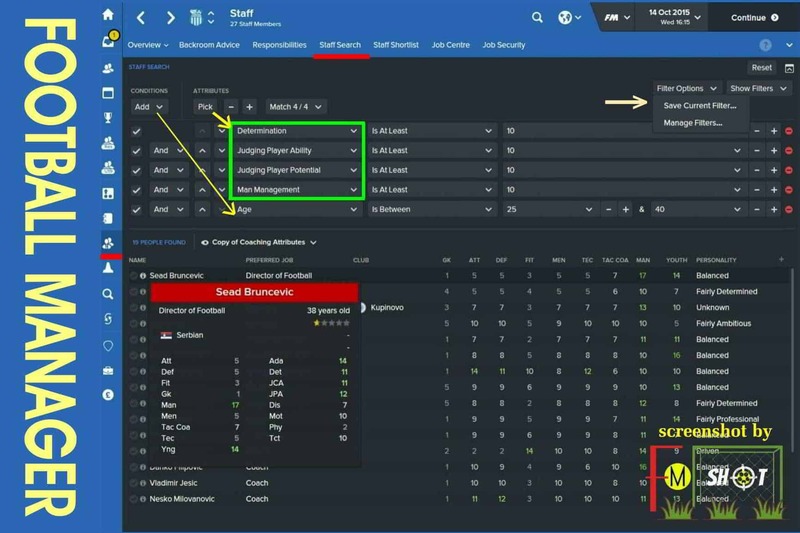 How to scout new players in Football Manager?